and ridden by the famous Captain Martin Becher. The same year saw the inaugural hare coursing classic, the Waterloo Cup, run at Altcar, both events being organised by a local landlord, William Lynn of the Waterloo Hotel. Lynn having previously introduced Flat Racing to Aintree in 1829, on land leased from the 2nd Earl of Sefton. The 1837 and 1838 renewals of The Grand Liverpool Steeplechase, were until recent years, thought to be run at the then nearby, Maghull racecourse. However, records taken from Chris Pitt’s authoritative book, A Long Time Gone, show that racecourse ran its final meeting on 16 May 1834. Further evidence found, suggest that the 1837 race, won again by The Duke, and the 1838 race, won by Sir William, were both run over the original Aintree course and as such were credited as Grand National’s well into the 1860s. Latterly, however, due to the races supposedly run at Maghull, together with the 1839 renewal, renamed The Grand National, the authorities proclaimed the first race as 1839, with the aptly named winner, Lottery. Recent requests from published historians (including the famous Aintree historian, John Pinfold), to restore the earlier races to the record books have so far been declined. “a sweepstakes” from 1776-1777, before becoming the St Leger. And those two earlier races have long been accepted as St Leger’s, thus making it the oldest of our five Classic races. Putting that aside, in a few days time, in every street, in every village and in every town, people will be looking at the runners for their annual each way bet on the greatest steeplechase in the world – a race watched on TV, around the world, by over 500 million people in 140 countries. Let us enjoy this and play our part in continuing its wonderful history. 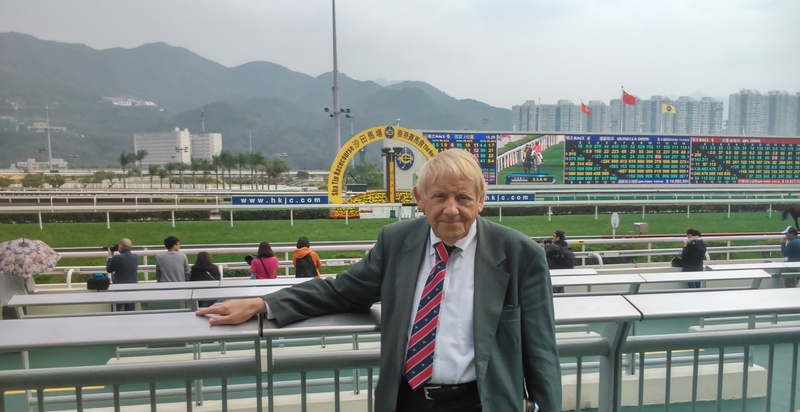 In order to visit family in Melbourne and see some of the world’s famous racecourses, Trish and I stopped off at Hong Kong to visit Happy Valley on the way out, and Sha Tin on the way back. For those who have never been, Happy Valley race most Wednesday evenings. As a visitor, by showing our passports and paying around £12 each we could go into the Members Enclosure. Happy Valley is a tight track in the middle of the city, surrounded by skyscrapers. The tote deductions were lower than usual and encouraged a staggering turnover. 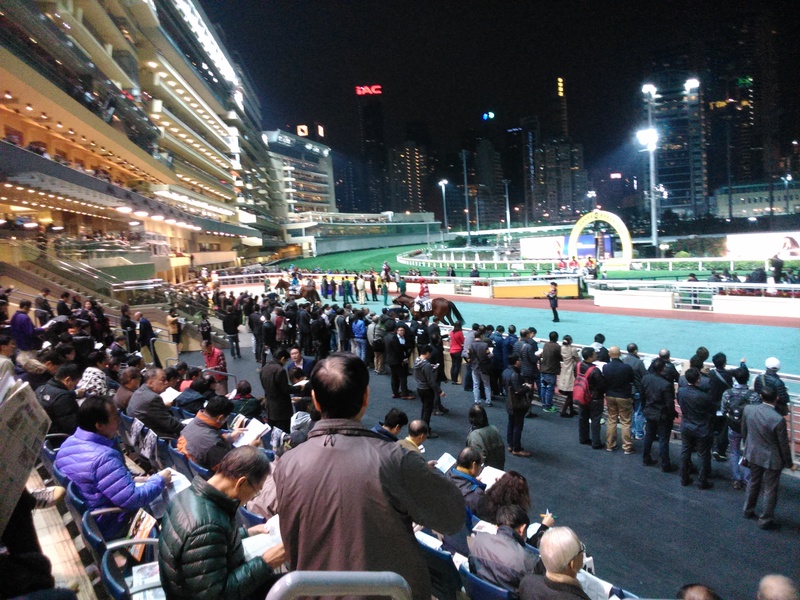 With an attendance of 16,000, the tote turnover was HK$1,217,144,118, roughly £105,838,000. There were eight races, the highlight being the January Cup, a Group 3 handicap for 90+ worth £240,000. Most races have a close finish, with usually two lengths covering the first four. A few days after our arrival in Melbourne we visited Flemington, home of the Melbourne Cup. Strangely, the experience was a complete contrast. A small attendance, the viewing 40 yards back from the track and, the winning post was a further hundred yards past the members enclosure! There were, however, bookmakers, albeit at the back of the stands, while food, drink and getting a bet on were fine. 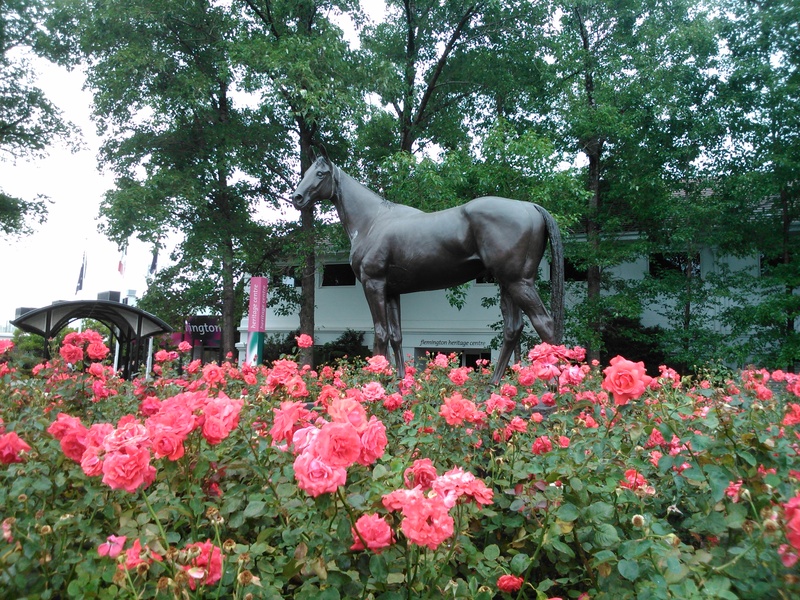 There was also a fine display of roses, a bed of which surrounded a handsome statute of Phar Lap. Continuing on to Royal Randwick (NSW) for the Australia Day Cup, over 2400 metres, we had a day’s racing in glorious sunshine. The racecourse had recently undergone a impressive rebuilding programme to emulate our own Ascot. Whilst visiting the bookmakers, comfortably housed inside the ground floor, I saw the name of Rob Waterhouse. Wondering if this was the same man who had previously bought all my books, I enquired at the joint. Suddenly, I heard, “Michael, how are you. Fancy meeting you in Australia.” His sister of course, Gai Waterhouse, was Champion Trainer and whose Danas Best, was favourite for the Australia Day Cup. Fortunately, I backed it and, leading from start to finish, it won easily. Danas Best returns to the winners enclosure with Tommy Berry up. Trish on a deserted beach in Byron Bay. Finally, on returning to Hong Kong we visited Sha Tin – a fantastic racecourse with a gigantic screen. rated 85-100 and carried £192,000 in prizemoney. Interestingly, there were very few Europeans in Hong Kong, either in the hotels or, at the races. Even so, it would be hard to find more enthusiastic and dedicated set of punters anywhere in the world!